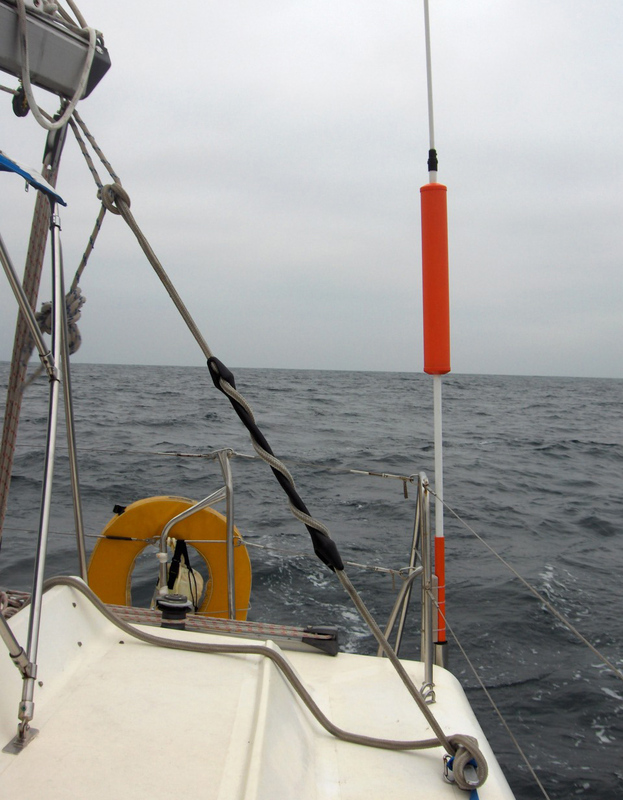 Traveling south down the west coast of North America between May and September will mean a lot of deep downwind sailing. 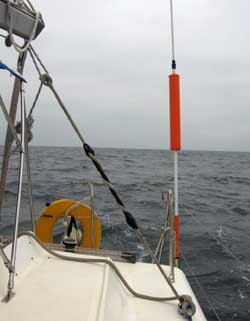 Under these conditions, to stop the mainsail boom from accidentally jybing, most sailors use a preventer - a line tied from the back of the boom to a deck cleat. Stop the boom from slamming as the preventer line pulls tight, by using a big rubber dock line bungee on your preventer line. Your boom and cleat will not suffer the shock loads and will last longer.